Swiftlock laminate flooring is manufactured by Armstrong and sold at Lowes. In addition to Swiftlock, Lowes carriers several other laminate flooring brands. And other Swiftlock choices. I installed this product in two rooms. This review is based on my own experience. 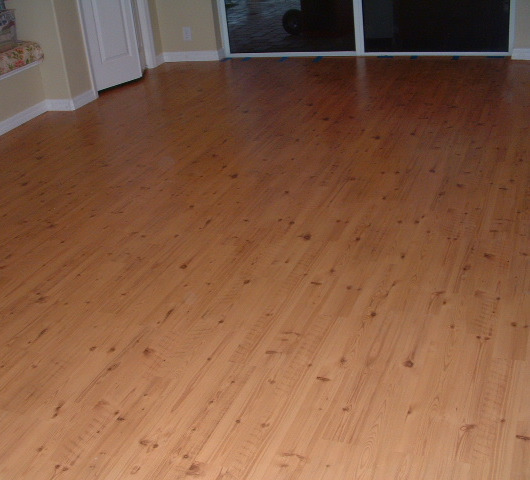 This flooring looked really nice after I completed the rooms. The Heritage pine color has a kind of rustic look. I don't like having to bring up negative aspects of the different brands that I install, but I want to be realistic so my readers will know what to expect if they are going to take on the task of installing their own laminate flooring. This particular product is 8mm thick, the color heritage pine. 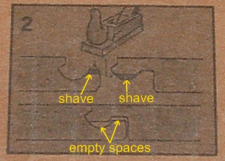 As of March 2010 I observed this product at Lowes for 1.67 per square foot. This product also included three additional colors. All of these carry a 25 year warranty. Something I need to mention here is how the manufacturers tell you that the product is glueless or no glue required. Well this isn't necessarily true. Installing this flooring in an open room is relativity easy as long as you don't encounter any doorways. The Swiftlock laminate locking system is designed to lock together on the long side by tilting the board up at an angel to engage the boards and then push the two flat. If you start your floor on one side of the room and work up to a door on the opposite side of the room, getting the flooring under the door jamb and trying to connect it to the floor can be a little challenging. This is where your going to need glue. When I installed this at the door jamb according to the directions, the two top edges did not line up flush. 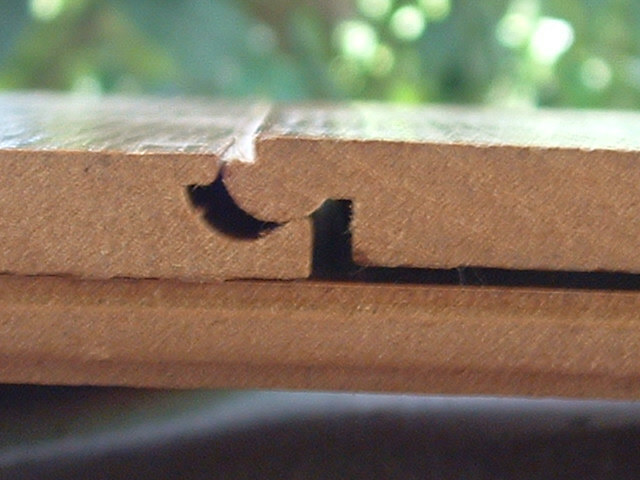 The end of the boards (the short side) can be tapped together laying flat on the floor. 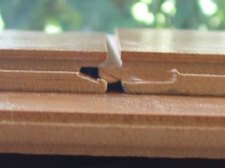 The Swiftlock laminate locking system is not the same on the side as on the end of the board. The photo to the far left is the end joint. 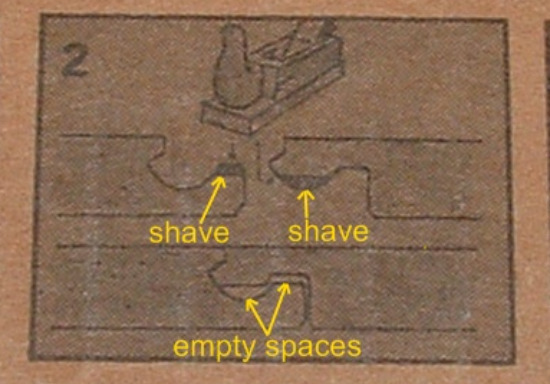 The photo to the left is the side joint. 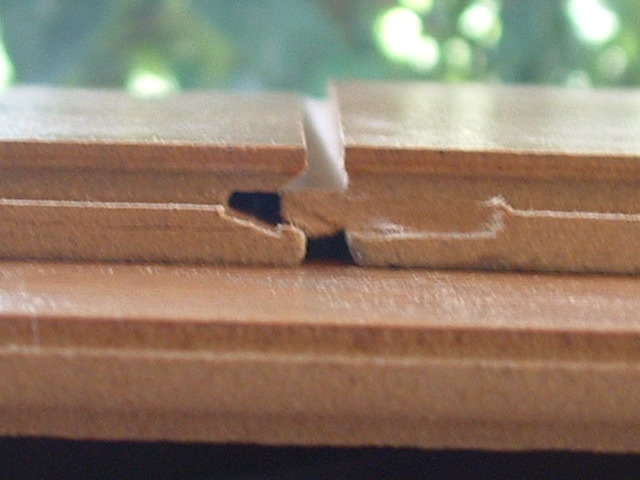 The side joint will not come apart when locked together but the end joint isn't as sturdy of a joint. You could possibly have separation of the end joint in the future because of this. I have had call backs because of this. To fix this I would have to put some glue in the joint and either try to kick it back together with my foot or take some base board off the wall and use a pull bar to pull the boards together. The core is not that strong. I had to be gentle while handling so the edges wouldn't break. I found a lot of the edges were damaged. I had to be careful there was no loose debris before laying a board. The flooring was not that hard to install until I got to the door jamb. If you have door jambs your installing to get some glue before you start. Overall the floor looked nice when finished. The color looked good and the variation was pleasing to look at. Buying Local or Online Which is Better? 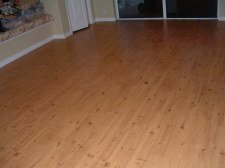 I feel compelled here to mention that ordering laminate flooring online can be more beneficial as far as getting a better flooring at lower prices. I have looked around on the net and after talking to some of my clients I compared pricing between the internet and local retailers. Even after I factor in the freight, the cost is much less. I'm not exactly sure what my clients paid for the Swiftlock laminate I installed.